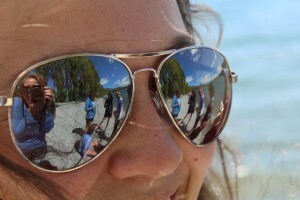 This past week students had the opportunity to travel for a week and explore more of the South Pacific. Some students went to the North Island and others, like myself, remained on the South Island. We saw and experienced so many incredible things in our week of travel, so I’m going to break my trip up into two blogs. In the first half of our trip, we stopped in Christchurch, Tekapo, Wanaka, and Queenstown. 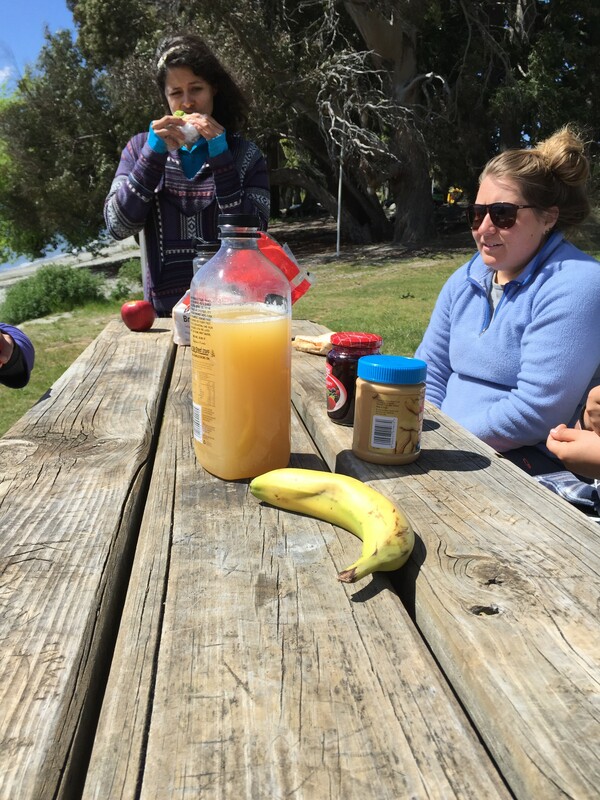 At the start of our trip, we had 8 girls and all their backpacks packed into an 8-seat mini van…it was quite the start to the trip! 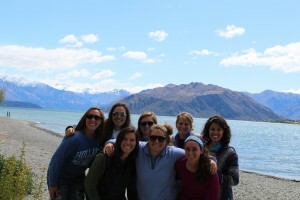 Once we managed by some miracle to pack into the van, we headed south toward Lake Tekapo. It never stopped raining the entire ride until we were about five minutes from the lake when the clouds broke and we were able to view an immaculate sunset over the lake. We stargazed on the beach before heading to the tent for the night. Little did we know the night we were about to have. 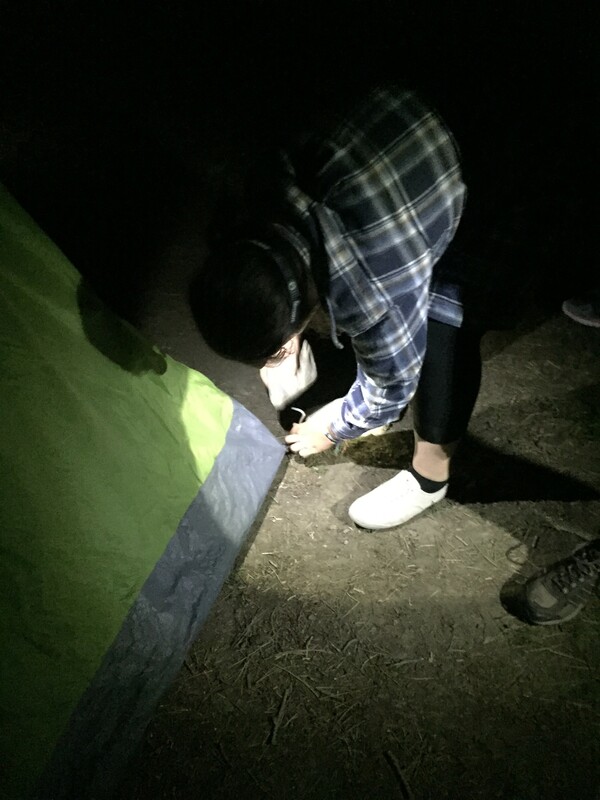 At about 2 am, the gusting winds came, folding our tent nearly in half. At about 5am, the addition of down pouring rain came. None of us slept that night nor did any of us leave that tent dry. It’s a good thing coffee is a fix-all. After leaving Lake Tekapo, we headed for another well know lake in New Zealand, Lake Wanaka. 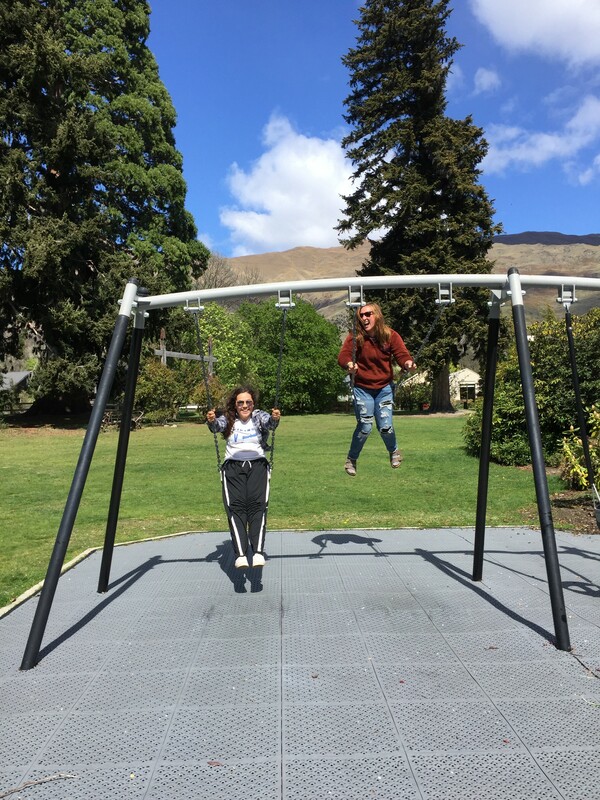 We spent our afternoon in Wanaka taking pictures on the beach, walking to see the infamous Wanaka tree, swinging on swings, doing cartwheels in the grass, hugging abnormally large trees, and eating the “student on a budget” diet of PB&J. Once our hearts and stomachs were full, we headed further south for Queenstown. 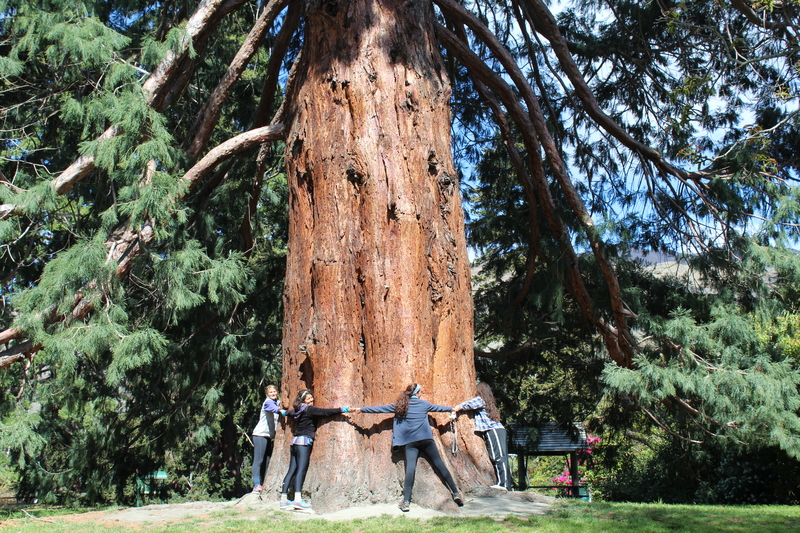 It took 7 of us to wrap around the whole tree! 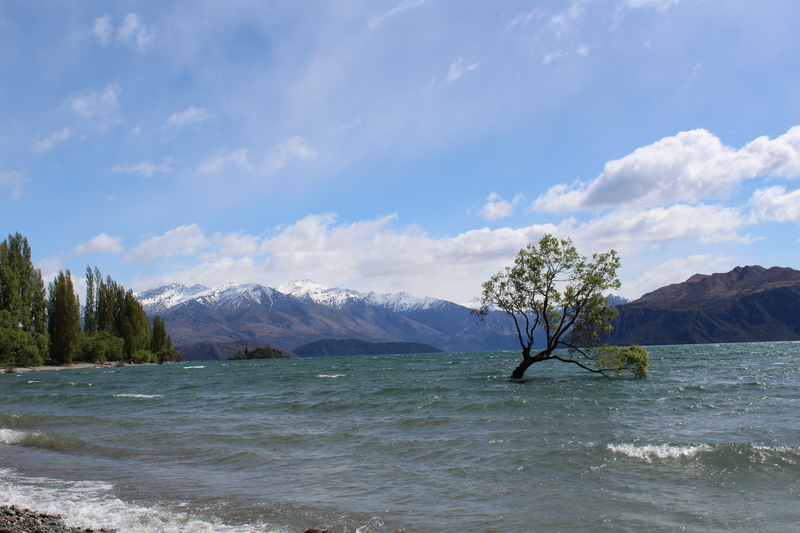 The plan was to skydive in Queenstown, but New Zealand weather had other plans for us. 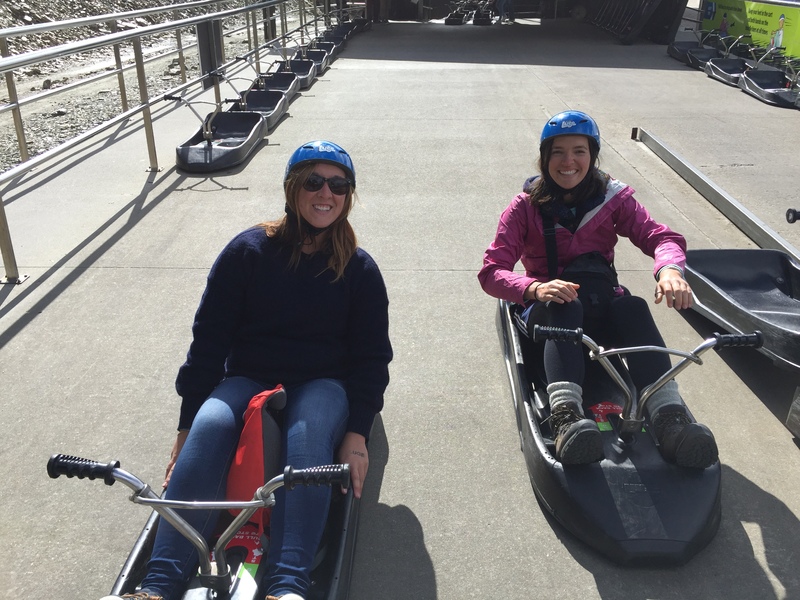 When the skydiving fell through and canyon swinging became a challenge, we decided a gondola ride up a mountain and luging would have to suffice in fulfilling our need for an adrenaline rush in the adventure capital of the world. 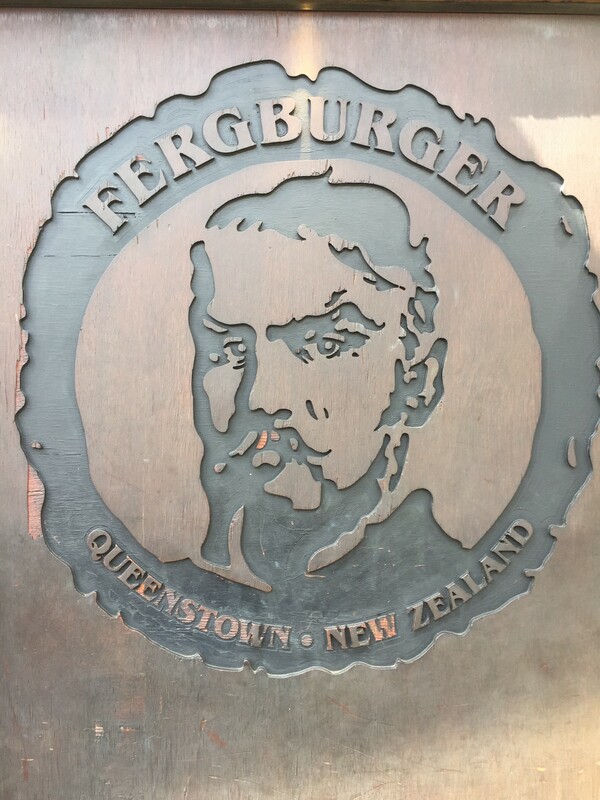 After some luge rides and selfies on the mountain, we headed back down for our try at the famous Fergburger. 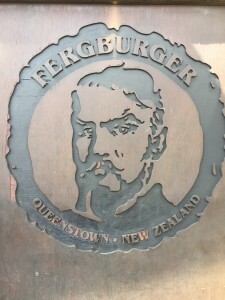 Fergburger with a ginger beer makes for the perfect New Zealand meal. We took a drive to the old mining town of Arrowtown where we took a scenic walk along a river that was apparently one of the Lord of the Rings movies. I probably should’ve watched those before I came. Anyways, after that we topped off at Mrs. Ferg’s with some delicious gelato, said hello to some of our Convent friends passing through, did a little souvenir shopping, and retired for the night. After dropping three off at the airport to head north, five of us remained. 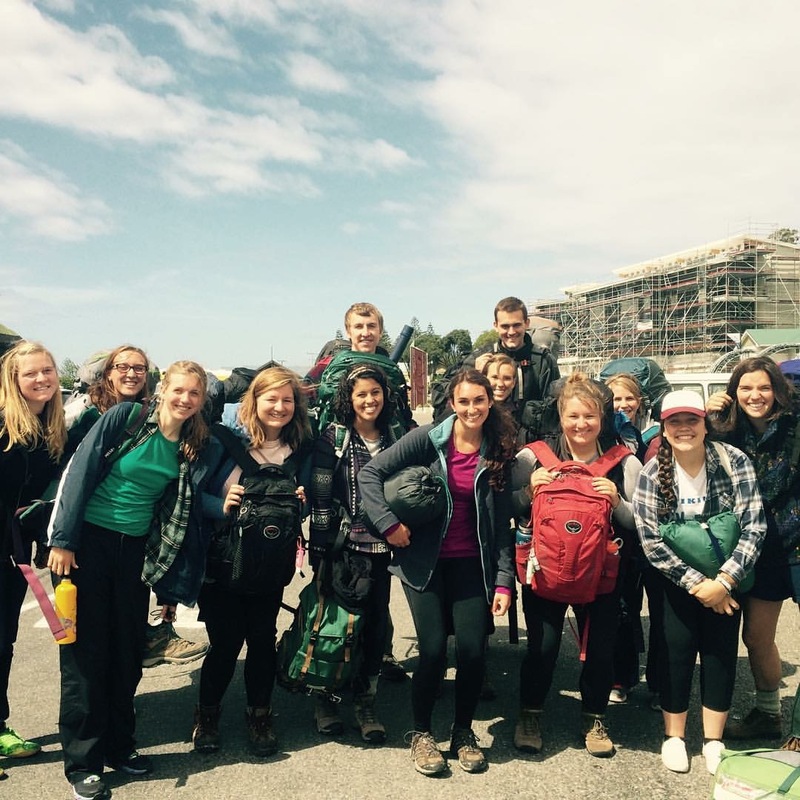 Next stop, the Milford Sounds for some tramping.